Second round from the ‘Illustrators from my childhood’ series. 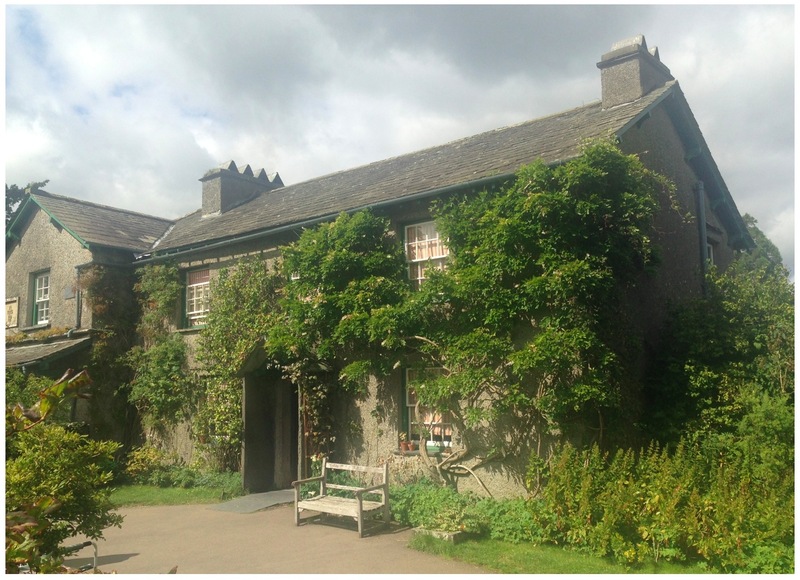 Whilst up in the Lake District a couple of weeks ago, we popped along to Beatrix Potter’s House ‘Hilltop’ and her gallery in Hawkshead. The house itself is well-sized and sits proudly up a pebble path. 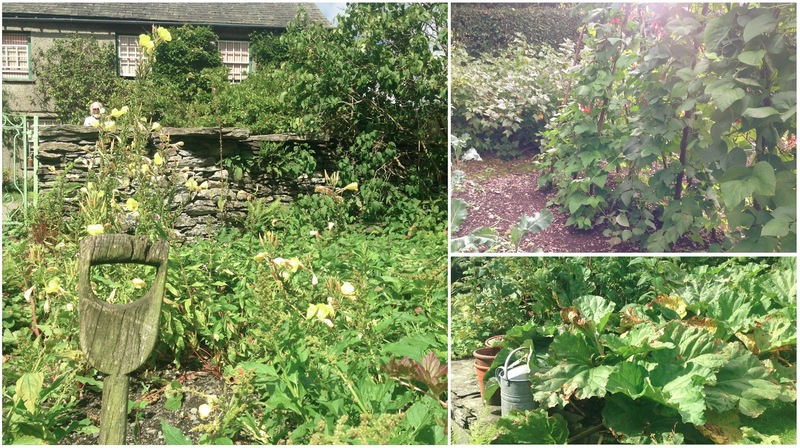 The gardens are beautiful – exactly like in the books. Write about what you know and all that. Inside, the interiors have been preserved from Beatrix’ time at Hilltop. Again, it was great to see creative spaces; desks and pens and sketches. There’s got to be a book idea in there somewhere. Over at the gallery, they were displaying Beatrix’ cabinet – full of butterflies, beetles, shells, eggs and fossils. 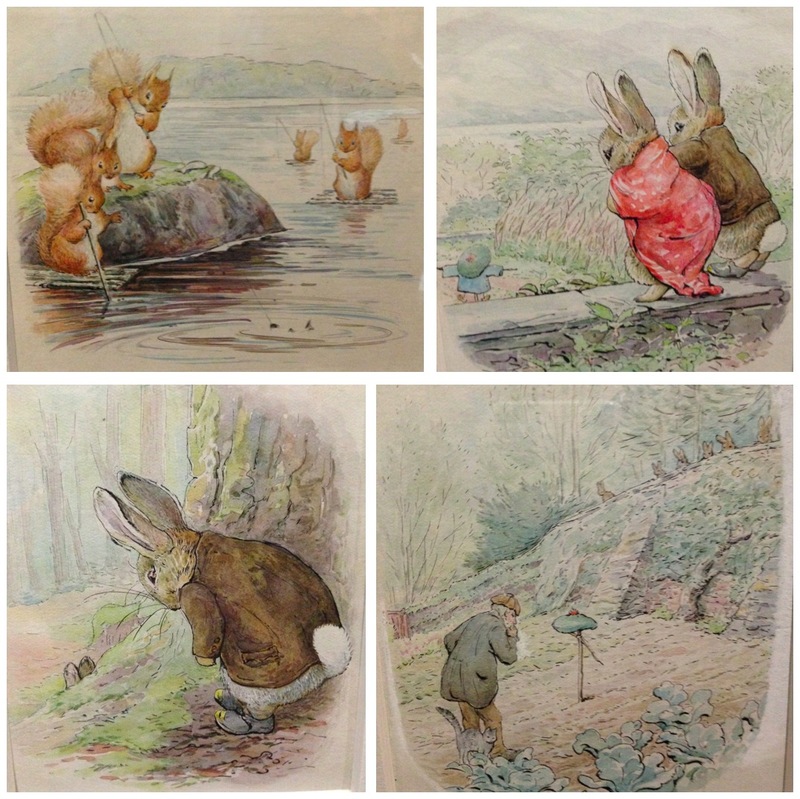 Beatrix and her brother Bertram were both passionate collectors – and Beatrix sharpened her craft by drawing and documenting them. The detail and accuracy that Beatrix developed drawing from her insect and geological collections shows in the intricate illustrations from her books. 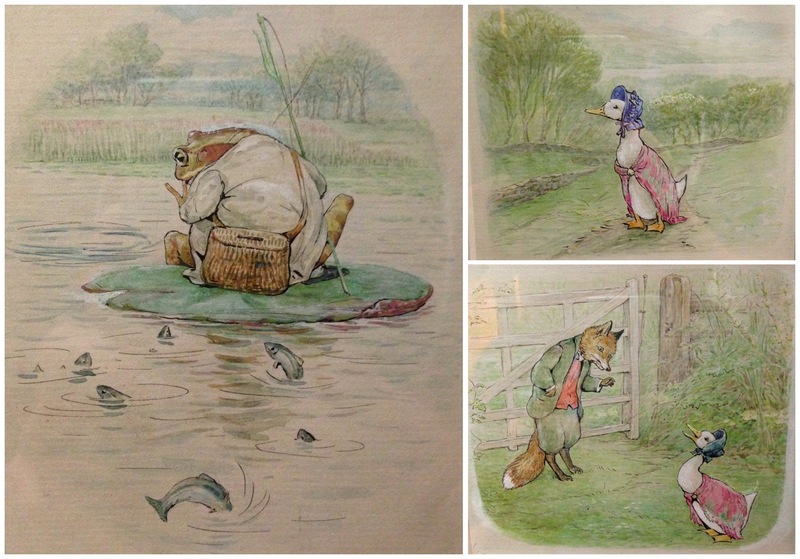 It’s a great little gallery and well worth the trip if you grew up reading Beatrix Potter at bedtime story time.